Bonded Service Warehouse handles every aspect of your company’s logistics from warehouse setup, proper manpower, equipment, security, and inventory management. With things like OSHA certications, hazmat certifications, and food grade procedures already in place, your company can keep its focus on sales and business growth. If you are in need of a contract warehousing solution that allows you to focus on the key aspects of your business, look no further. 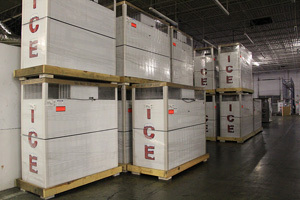 With warehouses in both Atlanta and Savannah, Bonded Service can handle all of your needs. Contact us today for a free consultation.